Outstanding Canadian cellist Bryan Cheng will work with five students from the Fraser Valley in a master class presented by The Valley Concert Society. 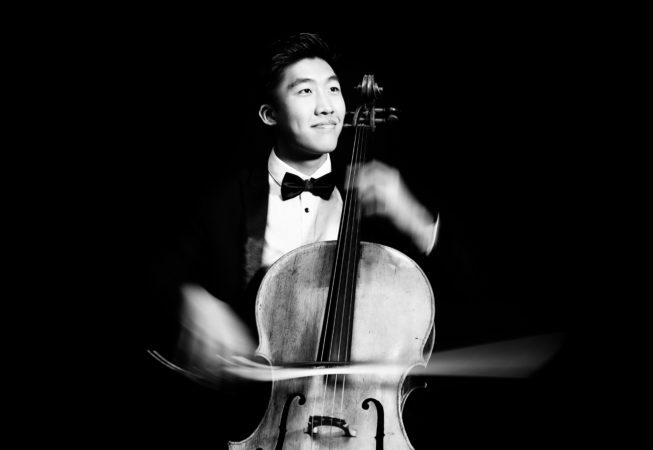 Outstanding Canadian cellist Bryan Cheng will work with five students from the Fraser Valley in a master class presented by The Valley Concert Society. Already recognized as a rising star, Bryan enjoyed two major successes in 2018. In June, Bryan won second prize at the prestigious TONALI 2018 Cello Competition in Hamburg, Germany. At the same competition he was awarded two prizes that gave him performance dates with two prominent German ensembles. In September, Bryan won first prize in the Canada Council for the Arts Musical Instrument Bank Competition. The prize is the three-year loan of the ca. 1696 ‘Bonjour’ Stradivarius cello and the ca. 1830 ‘Shaw’ Adam bow. Five music students will enjoy the privilege of working with Bryan on pieces they are preparing. The public is invited to attend. The Valley Concert Society is offering a special rate which includes the performance of the Cheng2 Duo on Friday evening. For more information, call 604-289-3377.